FIND THE DATES OF OUR KITE TRIPS – GET READY TO COME ON BOARD! Here we are with our 2019 kite trips! And we are always add more, so stay tuned! 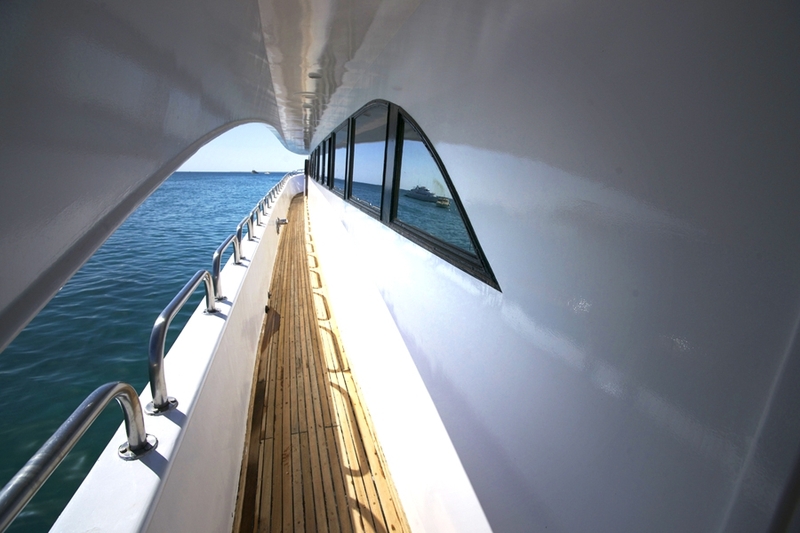 Contact us if you want a space for your and your friends on our boat. Don’t wait till the last second! One of our awesome Kite safari trip - Check it out! Can’t find the dates you are looking for? Simply contact us, and we will do our best to organize an amazing Kite trip in the Red Sea! Our weekly trips start on Saturday – that’s the day when the boat will be boarded. After a first good night sleep on the boat, we will leave the Marina in the early morning of Sunday. We can organize other starting days, depending on your needs, and arrange shorter trips: just contact us and let us know! 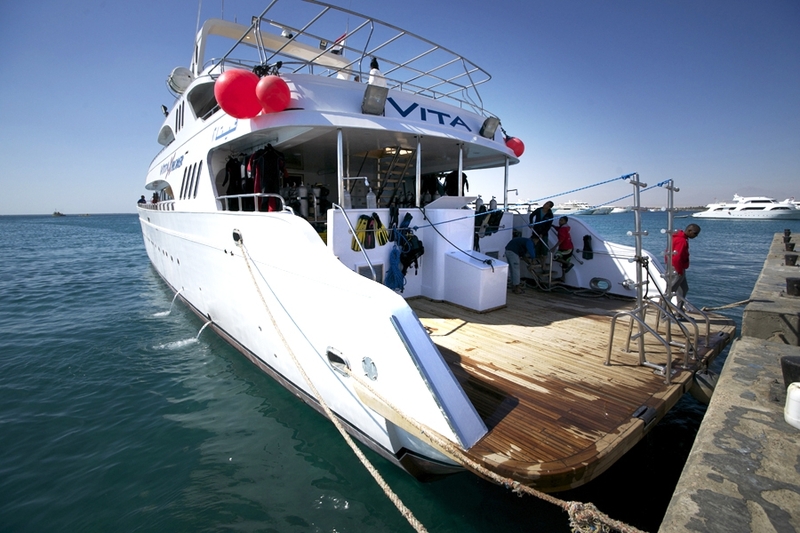 Our boats are cooly located in one of the Marines of Hurghada, in Egypt. If you need a full travel package flight plus Kite Safari, contact us and we will put you in contact with one of our partner european travel agencies – they will take care of all the details of your trip. Once you arrive in Hurghada, we will arrange your transportation from the airport to the b0at: one of our guys will meet you at the airport arrival and take care of you from there. For a weekly trip we meet in the evening of Saturday, for the first night on the boat docked in Hurghada Marina. 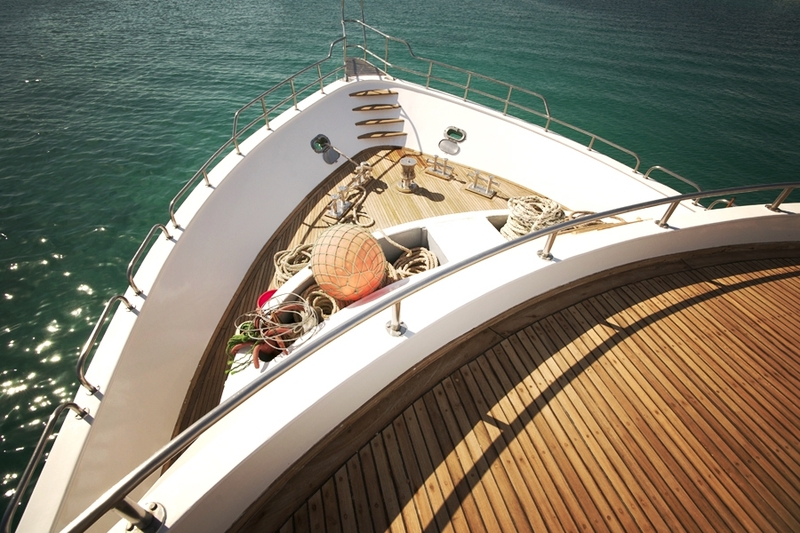 We leave the marina in the early morning of Sunday, and during breakfast we will cruise to our first spot of the day. Depending on wind condition, we will choose daily the best islands and lagoons. After the first kitesurfing morning, we will have a tasty lunch and then some extra hours kitesurfing in the afternoon. All docks of the boats are available at all time, if you prefer stay in and chill a little. After the afternoon kitesurfing , we will have dinner and relax and have fun and sleep in the night. Almost every day we will move to a different location, with one downwind trip also available. If you dont know how to kitesurf, you can learn during the kite safari, with one of our qualified instructors. There are also extra activities available, like diving, snorkling and wakeboarding, upon requests. We will be back after a week on friday afternoon, we will have a last night on the boat, with a chance of exploring the town of Hurghada, and leave the boat on saturday. Our boats are conveniently docked in the beautiful Hurghada Marina, and ranges from a luxury 10 guests boat to a massive 24 guests boat. 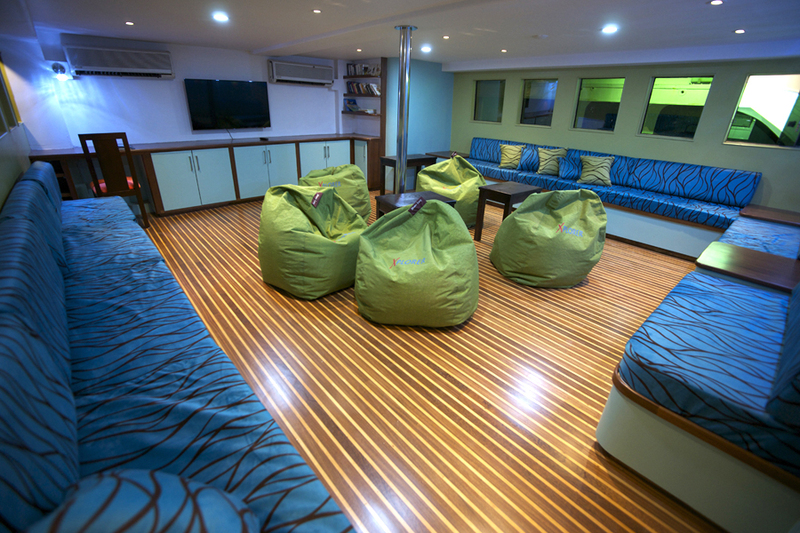 Typically the interior of the boat is very curated, with airconditioning in the interior, a spacious lounge with a Plasma TV/DVD set, a modern sound system spreading along the decks, and a restaurant providing 3 tasty meals a day, prepared fresh by our chef. Bar and Solarium available, to enjoy the sunset and get a drink after a long kitesurfing day. 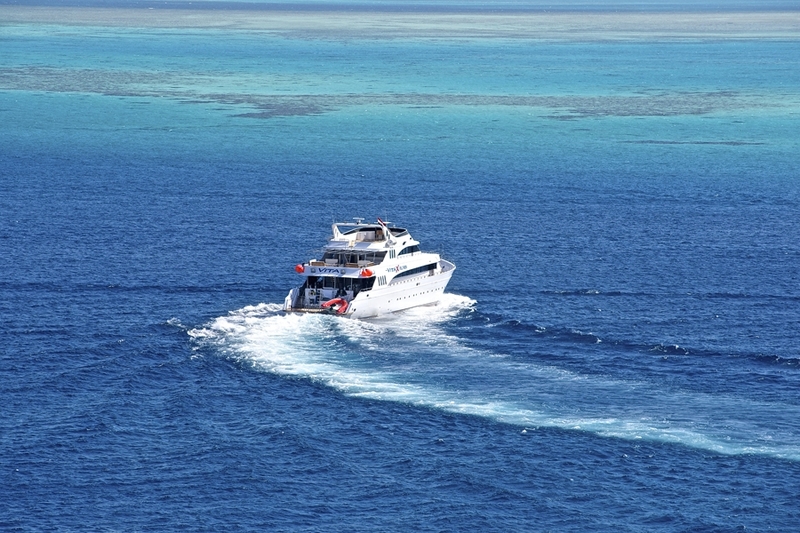 Our boat is especially designed for watersport activities and sea safaris, with an excellent compromise between the speed needed to cruise the sea and the stability to ensure confort for our passengers. 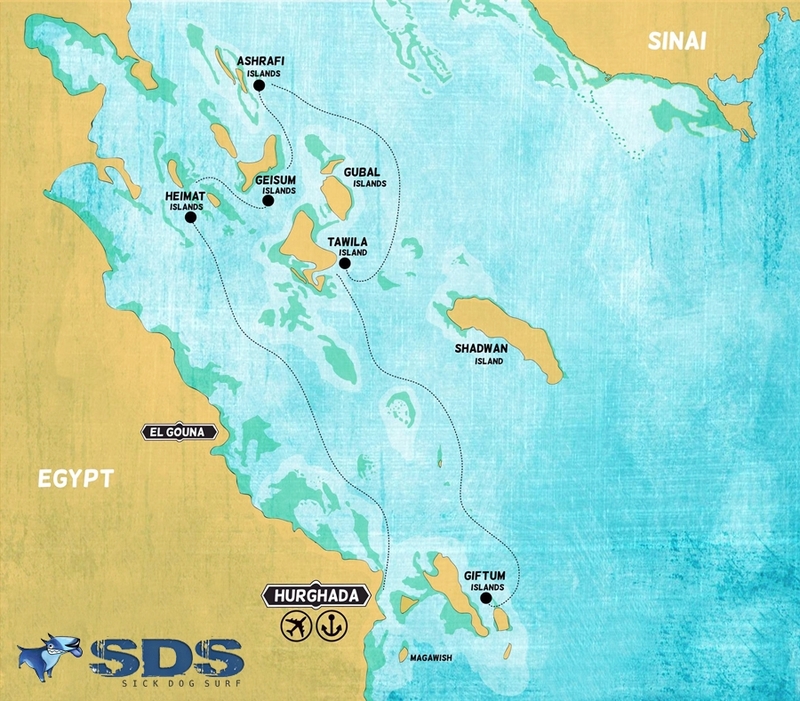 One or two zodiacs are also present to help kitesurfers access the pristine lagoons and small islands of the Red Sea. After being welcomed at Hurghada airport you will be transferred to the Boat moored just 5 minutes away at Hurghada new marina. Our crew will welcome you and give you all the advice you’ll need for the coming week. 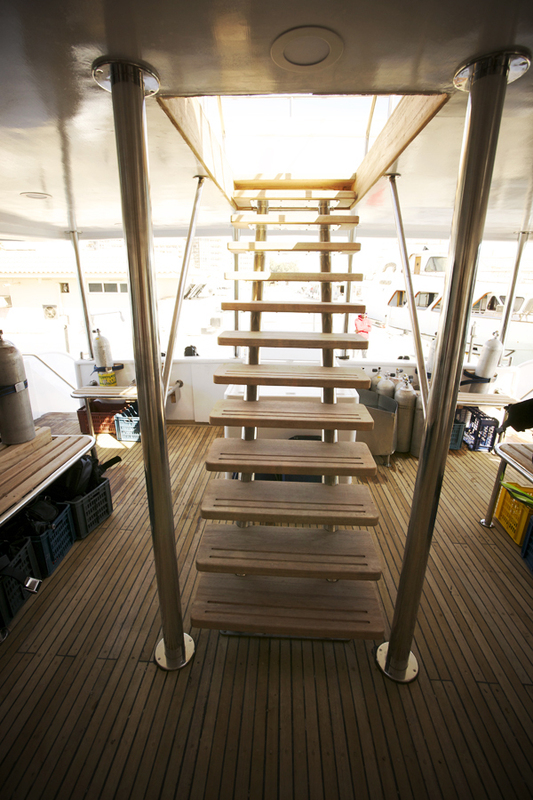 You will be sleeping on the boat the first night, to be ready to depart on Sunday early morning. In the event of an early arrival on Friday you can ride with our team at some of the local spots and overnight in a hotel (on request). 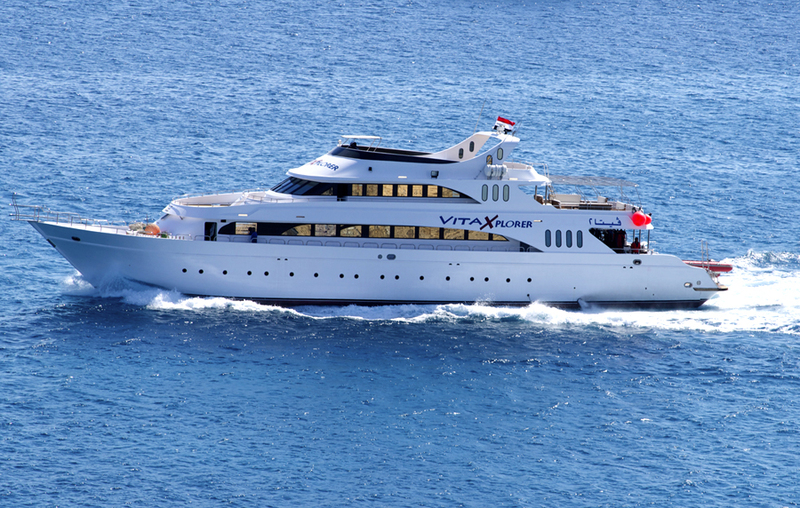 Depart to the north of the Red Sea for a 6 days of cruising. After a 3 hours trip we reach our first spot for a warm up session. A huge lagoon with crystal clean and shallow water. Here the adventure begins. Jump the sand bar or freestyle on glass flat water. Secluded beach with a great atmosphere, far away from the crowded coasts and cities. We leave the lagoon early and make way to our next area. We will discover an authentic coralline’s island with several lagoons and flat water close to the shore. A decent swell also builds up outside the coral reef. During your cruise you will surely come across many different types of wildlife. After the sunset cession our crew may teach you how to catch Calamari! As we wait for our meal to be prepared you can check out the videos and pictures from the day’s session on our screens. Time to make way to our ultimate extreme spot! During the Northern most part of our safari we’ll travel between the islands to be the perfect side shore wind. Why not take a look under your board? The water here is so clear that you’ll easily see the dolphins as they glide through the water. A real unspoilt area and a great place to take advantage of our kayaks and snorkeling equipment to explore the colour full coral below the surface. With no man made light pollution the stars here are bright and plentiful. Enjoy this spectacle with drinks on the deck. After another fantastic breakfast we are ready for a giant 6 km downwind ride to our next spot! The boat and our rescue team will follow us to give us that extra aspect of safety. Starting with flat water, we’ll head outside to catch some serious swell. It’s time to try some big carving and high jumps. We’ll finish the day’s session back on the second day spot. This is a great chance to explore the lagoons you missed last time as the area is very large. Early morning departure to our final spot. An inland lagoon. This amazing area gives you the option to kite on flat water or head out to sea to catch some waves. After the session it’s time to enjoy nice aperitif on the lounge deck. Early morning ride on the island lagoon. A good chance for a final picture session. We finish kiting around midday and enjoy a hearty lunch before heading back to Hurghada. Gear will be cleaned and packed at the marina. Still have energy for more fun? We’ll head out for a night in one of the area’s most popular beach nightclubs. N.B. : program may be changed due to flight schedule or wind conditions. Soft drinks, juices, tea and coffee. Don't have a week? Let's do something else! Can't find the dates you are looking for? Any special requests? We will work on it!